Going though my personal archive and realized I hadn’t shared these memories on-line! I really miss this conference and working for and with wonderful, creative spirits every year. I had a great learning experience at the 2016 Southwest Popular/American Culture Association (SWPACA) Conference thanks to scholarship funds. If I can’t find outside funds to attend this conference again next year, I would gladly pay my own way. I thought ARMA San Diego was the best conference I had been to until SWPACA. I love being around like minded intellectuals. There is really nothing like it. 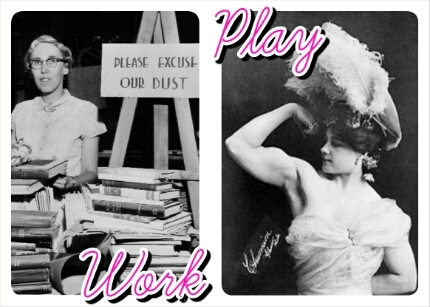 I do want a PhD someday. I made it a point to keyword search the program (which was close to 150 pages) for the words archive(s), culture, history, and New Mexico. I focused my time at the conference on those sessions for the greater good. I love learning things to benefit both my knowledge and my agency. Everytime I could, I supported New Mexico professors and students by attending their presentations. There was so much great research presented during this conference. I also made a presentation there. I did attend a small handful of sessions that were chosen because of personal interest. One was a session titled “Myth and Metaphor in the Works of J.R.R. Tolkien,” which happened to be delivered by a University of New Mexico (UNM) professor. Another awesome presentation gave an analysis of “Penny Dreadful,” which I love, by a teacher from Texas. That session featured another presentation on the research of a UNM professor and student on violent video games and children. There was one on how Batman’s suit employs STEM!! Then there was one on fetishism and the villainess. You know I went to that one!! Wow!! You haven’t heard from me since Saturday because I’ve been super busy! I’ve been swamped from: the gym; to the printer; to meetings and a hearing and more meetings to come; to homework and school politics; and the completion of my Killer Frost cosplay. This busy week is far from over. I still have: two all day meetings; an early morning to work magic, become Killer Frost and turn D into The Scarecrow; and a Friday night dinner party at my house! It never gets easier, but it’s all worth it and rewarding when I can breathe!! So what do I have to report?? Hear is the best news from the last four days. On Sunday, I hit my personal best on the dumbbell bench press with two 50 pounders for 12! 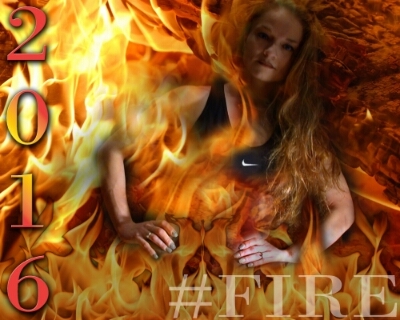 That means my 1RM for that movement may be 70z!! I love it!! 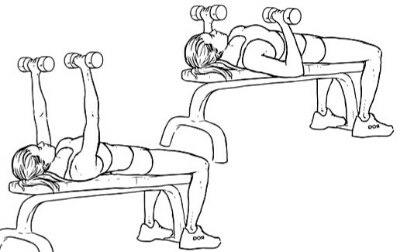 It’s straight comedy to Google pics of women using dumbbells for this (which is why I choose this pic). They are always like 3 to 5 pound weights. Commmee on! Really? 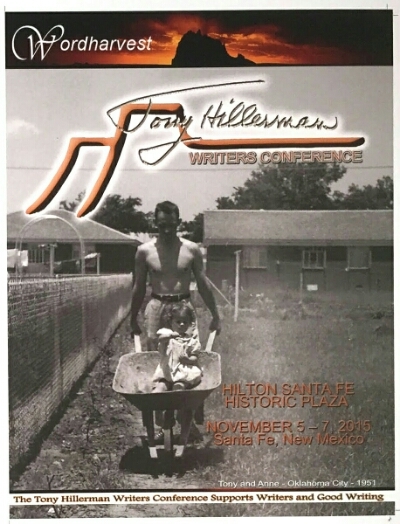 The Tony Hillerman Writers Conference is next week and I completed the program. I met with the printer yesterday and signed off on the proof. Yeayyyyy!! The final looked awesome and I added great quotes from writers this year! I had some resolution issues with Adobe InDesign, but got it all figured out in perfect time. Phew! Tonight I put the final stitches into my blue velvet, Killer Frost dress. This cosplay keeps with the trademark icy theme of this super villainess. I attached icicles to the bottom of the dress. 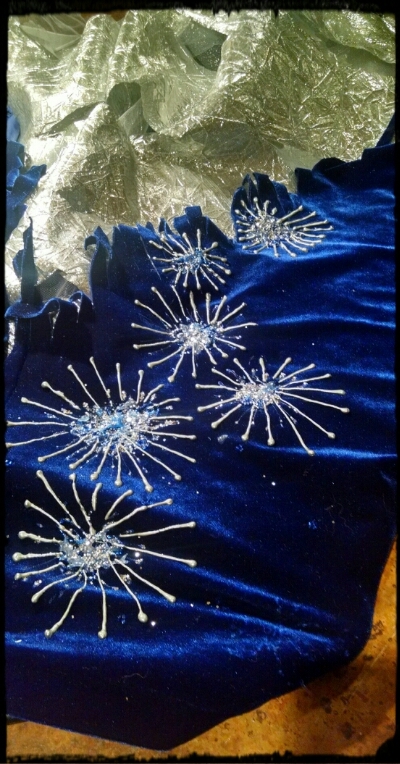 Tonight I stitched in the sparkling tulle and silver snowflake cape. Hopefully I can pull this frozen look off. I’m hoping this cosplay comes together just right early Friday morning. I was HQ in 2013, though I liked Poison Ivy better in 2014. Interesting that this year in the news, Harley Quinn is the Most Popular Halloween Costume Nationally on Google Search. That’s old news to me. This year be like a sea of Harley Quinns. Like Young Jeezy says in his awesome song Me OK… “Mister if I’m talkin’ you should listen, game is free OK.” Maybe in 2017 everyone will be Killer Frost? This interview is from the 2014 conference. It just went up on the Wordharvest channel on YouTube this week, so I wanted to share it. I’m honored to have my interview footage alongside those of several famous and infamous authors. Unfortunately, the sun was in my eyes, so I’m squinting through the whole thing! Coincidentally, the video footage was edited by a guy from my gym. He recognized me and told my boss he knew me. He knows me from a very different world LoL. He was proly like… “is this the same gal? Hummm?” I never knew he did stuff like this. I guess you never know what iron lovers do on their spare time eh? I’m looking forward to the 2015 conference. The author of Longmire will be there to talk about the move to NetFlix, which is awesome!!! I loved meeting him even though I don’t love any cowboys. Maybe I’ll ask him if he killed off Chase since I’ve only watched the first episode. I thought it was kinda symbolic in my real world.